ROOTING AROUND: OUR FARM BLOG: What Should You Do With Your Crystallized Honey? What Should You Do With Your Crystallized Honey? Sometimes people feel uneasy when they discover their honey has crystallized. Let us reassure you, there is absolutely nothing wrong with the honey. We even suggest you try your crystallized honey as is! Crystallization is a natural phenomenon that preserves the flavor. Many people (us included) prefer the crystallized form because it is easier to spread on toast, biscuits and other morning goodies. Plus, you may find yourself loving that slightly grainy and crunchy texture too. 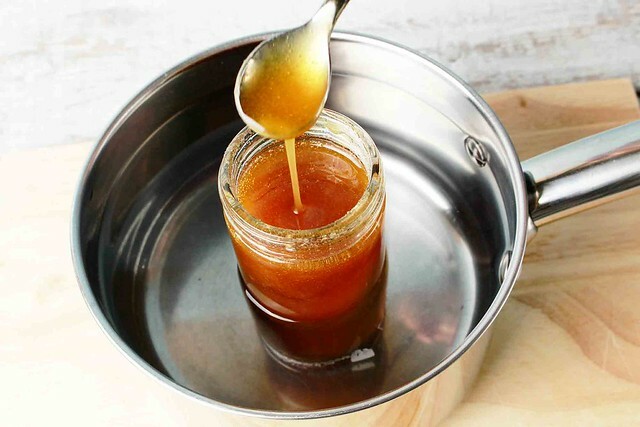 However, if you are not a fan of this natural occurance, you can de-crystallize your honey back into its liquid form by following these easy steps we've provided below. What Does Crystallized Honey Look Like? Some honey will crystallize uniformly, while others will only crystallize partially, forming two layers — a crystallized bottom layer with liquid on top. The crystals themselves may vary as well, from fine crystals to larger, grittier ones. The faster the honey crystallizes, the finer the texture will be. Honey that has crystallized will have a slightly lighter/paler color then when in liquid form. Darker honey tends to retain a brownish appearance. No matter what it looks like though, it can add great flavor to your dish. Honey is a supersaturated mixture of two naturally occurring sugars, glucose and fructose. 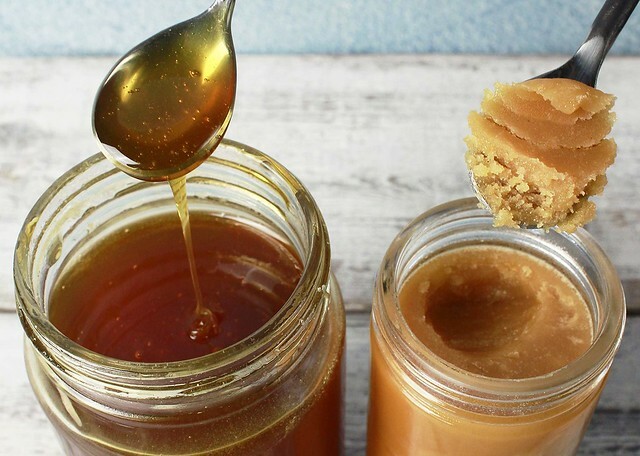 Honey doesn’t contain enough liquid to keep the sugar dissolved, so a natural chemical process causes some of the sugars to crystallize and separate from the mixture. How Do I De-Crystallize Honey? 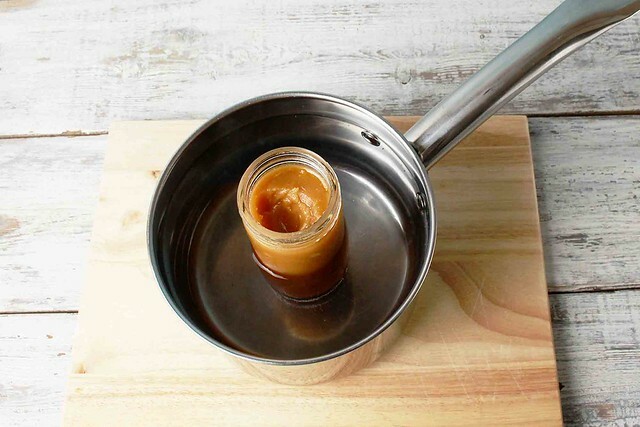 2) Remove the pan and place your jar of honey inside. (Make sure the lid is off the jar before placing it in the water). 3) Let the honey sit until it softens. Once it is in a liquid state again, put the lid back on and shake the jar. 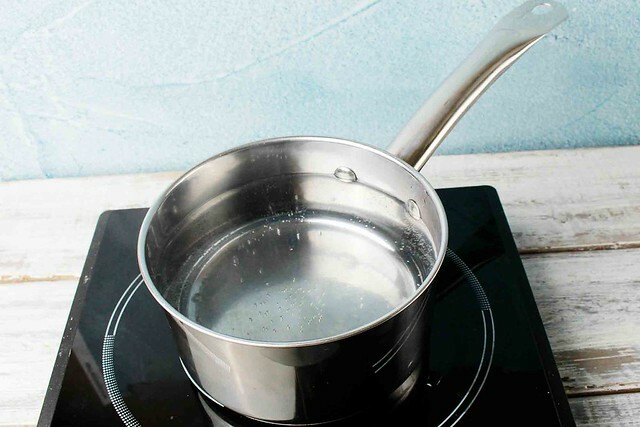 4) Place the jar back in the warm water. 5) Let the water and jar cool together. 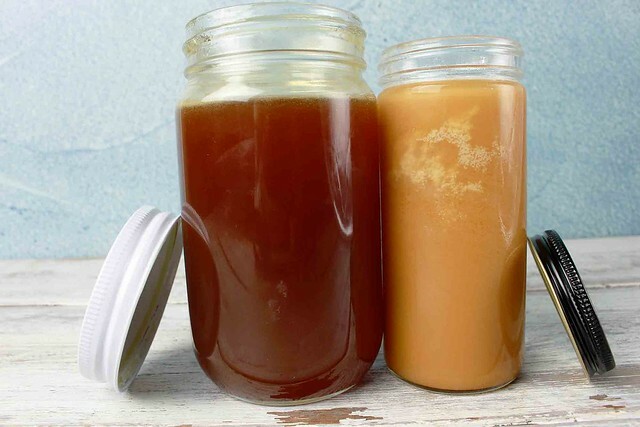 Once they both reach room temperature, your honey is ready. 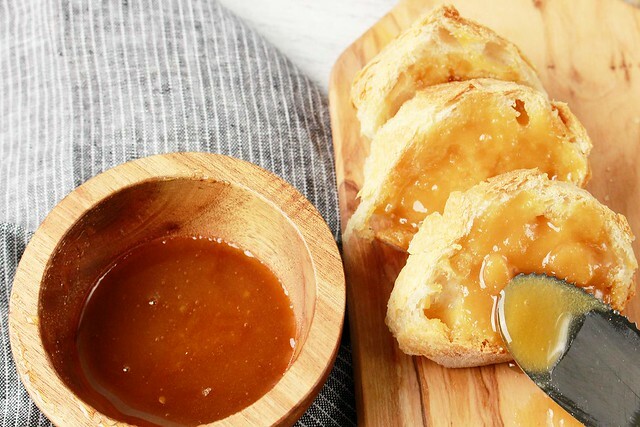 *It is important to cool and heat up your honey slowly. Heating and cooling too quickly can speed up re-crystallization. Avoid using the microwave to warm your honey, as high temperatures can remove the vitamins and nutrients that honey naturally has. The best way to store your honey is at room temperature in a glass jar. Cold temperatures will increase the rate of crystallization while warmer temperatures will damage the honey. Be sure to keep your honey away from the stove, heat-producing products and sunlight. If your house tends to run on the warm side, all you need to do is find the coolest spot in your pantry. Honey is known to be the food that does not spoil due to its high concentration of sugars. 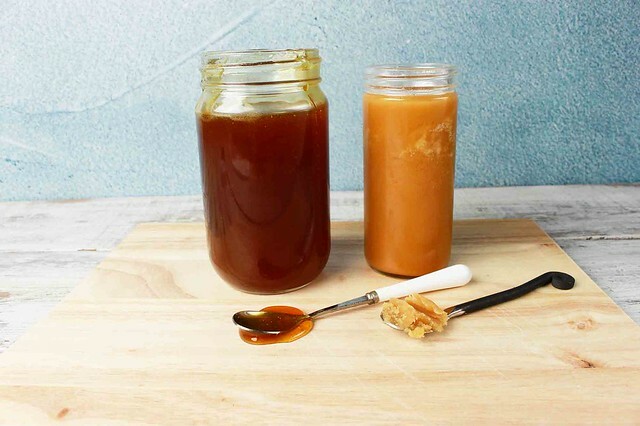 How To Add Honey To Your Delivery: CSA members - head on over to our online Farm Stand Market to customize your upcoming delivery. The Market is open from noon on Thursday until 6 pm, 2 days before your scheduled delivery day. After you confirm your produce items, click the orange button "Confirm and Continue To Other Farm Products" to add the products to your delivery.